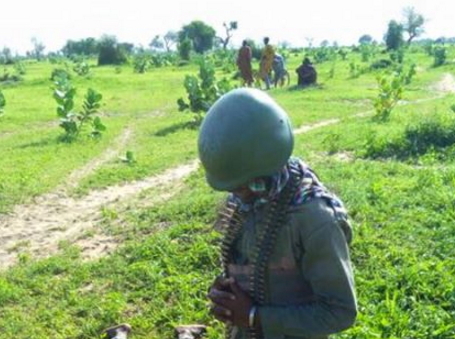 According to military reports, the Cameroonian soldier pictured here was paying his final respect to fellow soldier shot dead by Boko Haram around Lake Chad near Nigeria’s border on Wednesday. Two Cameroonian soldiers were killed by the insurgents who fled into Nigeria via river yesterday. Take heart gallant soldier. May God console and protect you. RIP to the departed brave one! TOUCHING. May his soul RIP. 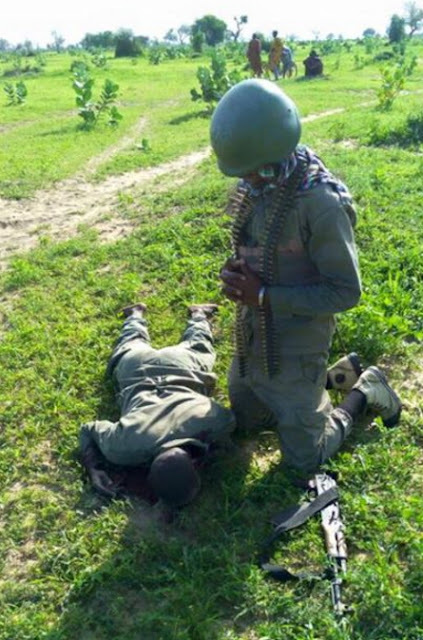 And Nigerian government said they have flush out the Boko Haram..RIP THE COMBAT SOLDIER.. When can this government starts to keep it real and tells us the truth?